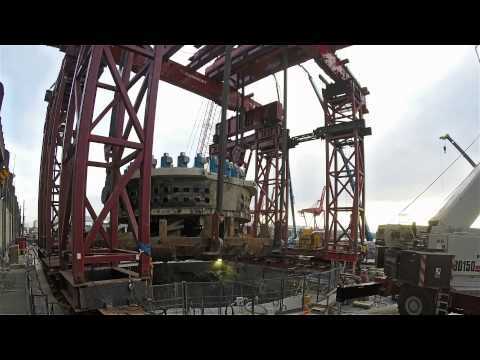 Seattle Tunnel Partners lifted the 2,000-ton front end of Bertha, the SR 99 tunneling machine, to the surface for repairs on March 30, 2015. This time-lapse video shows the lift from a spot just north of the tunnel access pit. Video uploaded on 01/04/2015 03:48pm.